Dr. Mochizuki is an associate professor at School of Network and Information, Senshu University . 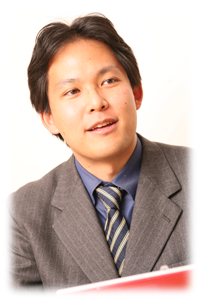 Prior to joining the Senshu faculty, he was a research fellow of the Japan Society for the Promotion of Science (2003-2004), an assistant professor at Information Science and Technology Center, Kobe University (2004-2006), and a visiting associate professor at Microsoft chair of Educational Environment and Technology (MEET) , Center for Research and Development of Higher Education , The University of Tokyo (2006-2008). He served an assistant professor (tenure track) at Senshu University from April 2008. He received B.A. in Environment and Information Studies, and M.A. in Media and Governance from Keio University in 2000 and 2002, respectively. He earned his Ph.D. degree in Educational Technology from the Graduate University of Advanced Studies in 2004. He received the Outstanding Young Researcher Award from the Japan Society of Educational Technology (2003), and several Outstanding Paper Awards from Japan Society of Educational Technology (2004), Japan Society for Science Education (2008), and Association for Advancement of Computing in Education (2008, at the international conference ED-MEDIA 2008 ). He also received the Outstanding Poster Award at the ED-MEDIA2008 conference and the Best Technology Design Paper Award at CSCL2009 conference of the International Society of the Learning Sciences. His major is Educational Technology and Learning Sciences (especially in Computer Support for Collaborative Learning). His current research focuses on how undergraduate students develop critical thinking for reading, writing, and presentation through collaborative learning, and promoting their groupwork, with supports of visualization and knowledge manipulation utilizing information communication technology or physical/virtual learning spaces.